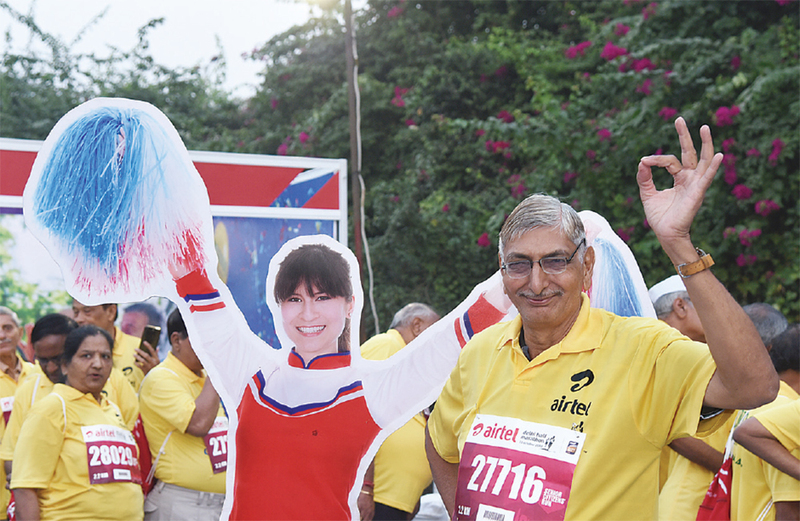 On 21 October, as morning broke over the majestic Jawaharlal Nehru Stadium, the venue for the Airtel Delhi Half Marathon, it was clear something special was about to happen. 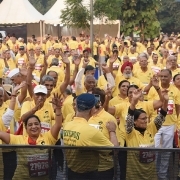 Slowly, but surely, close to 1,200 silvers descended into the Harmony Senior Citizens’ marquee; first a trickle, then a swarm, finally a raucous, rousing storm—it was time, without a doubt, for the 11th edition of the Senior Citizen’s Run in the capital! 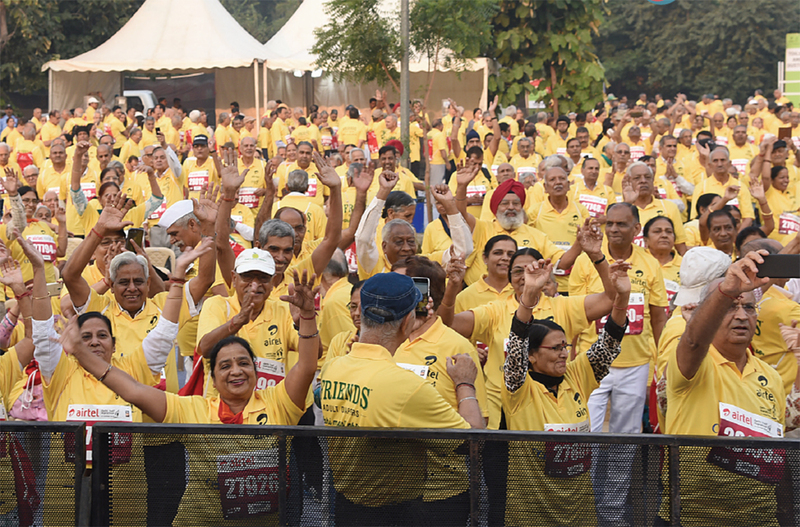 Soon enough, the silvers, clad in signature yellow shirts, made their way to the flag-off point at the stadium. So excited were they, that they actually jumped the starter’s gun, much to the amusement of the commentators! 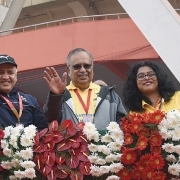 Waved forward by guest of honour M Damodaran, former chairman of Securities Exchange Board of India (SEBI), and the Harmony team, they variously walked and ran, ambled and danced through the 2.4-km route. Meanwhile, some chose to stay back at the marquee, waiting for their friends to return. 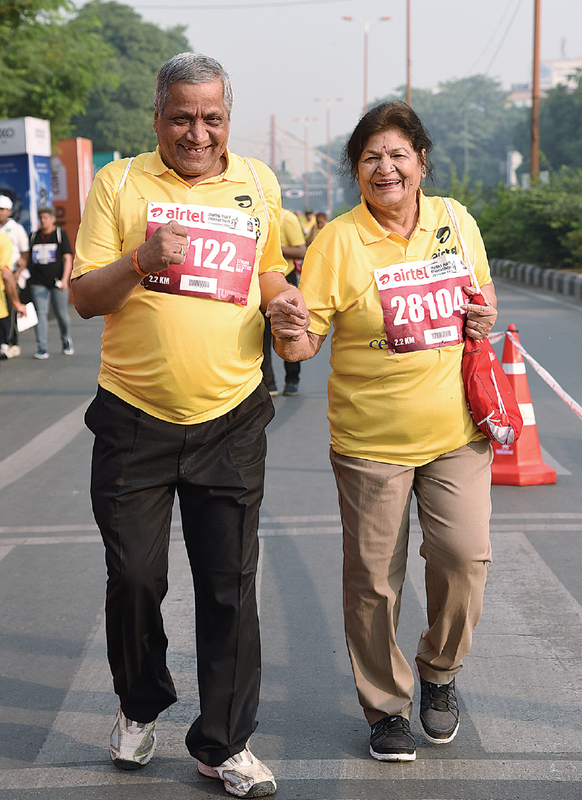 Like H S Bhandari, 77, a participant for the past eight years, who chose to sit this one out owing to knee trouble while his wife Sunaina Bhandari, went ahead with the run. 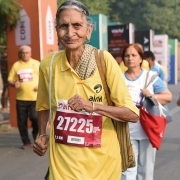 First to return was Dayanand Hooda, 65, a sense of accomplishment writ large on his face, his friends Rohtash, 62, and Ramkrishna Sharma, 68, following close behind. 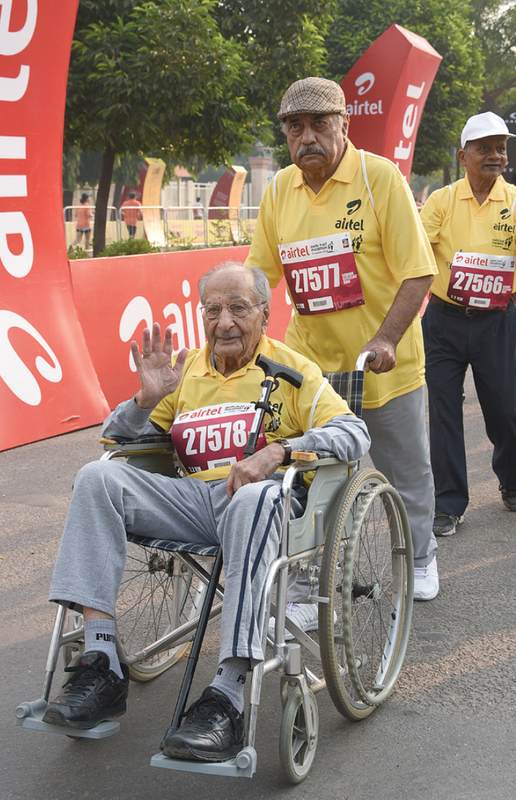 “We are seasoned runners and all of us represented Haryana state once upon a time,” he shared. 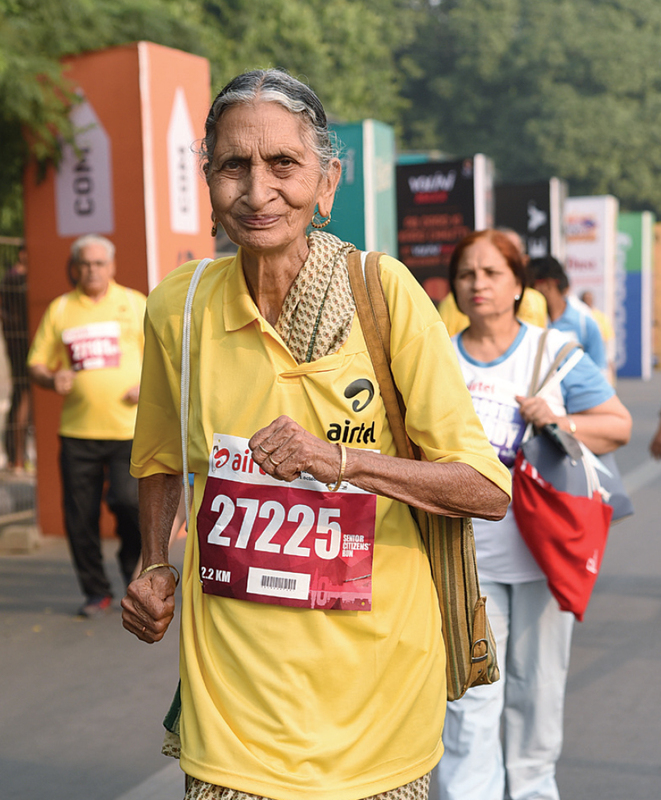 With over 22 gold medals each in long-distance running over the years, it was only fitting that they continued to lead the pack. 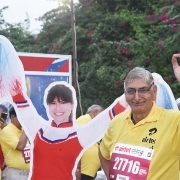 Indeed, everyone had their own triggers, their motivation for being present. 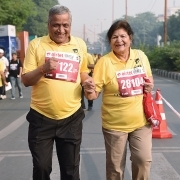 While 68 year-old Col (retd) Shekhar recalled his days at the Indian Military Academy where he would jog for hours on end, Geeta Pradhan, 62, saw the event as an opportunity to come together with her friends and share some banter, and a group of silvers from Ashok Vihar Senior Citizens’ Association dedicated their run to late prime minister Atal Bihari Vajpayee. There were visitors from out of town too. 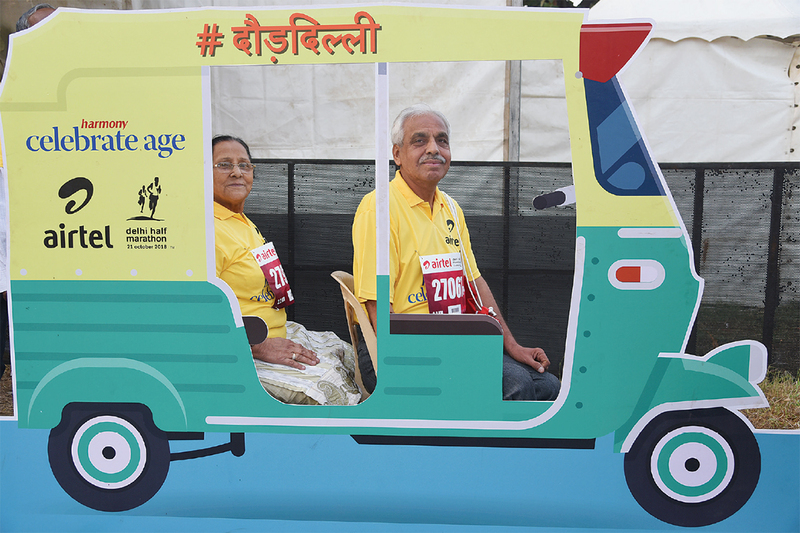 Maheshwar Sahu, 64, travelled all the way from Orissa to participate in the run. 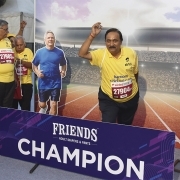 “I want to travel to Scotland and run the Edinburgh Marathon and break the world record in my age bracket for half marathon,” he told us. 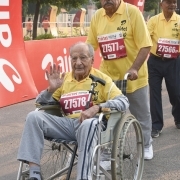 “I have been training for the past two years and participating in marathons throughout the country as a test to prove my mettle.” He has promised to meet us again at the Tata Mumbai Marathon in January! 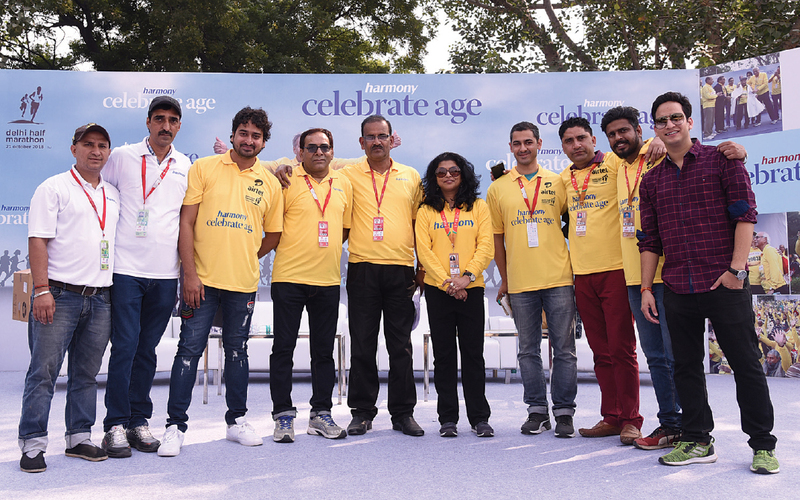 After the run, it was time for refreshments and recreation at the marquee, with master of ceremonies Abhay and comedian Rohit Thakur entertaining the silvers with music, dance and jokes aplenty (there was also some cross-dressing for good measure!). 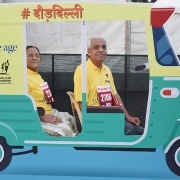 Our oldest participants, Madan Swaroop Sethi and Usha Mittal, both 99, were honoured for their spirit, senior citizens’ organisations from the capital were felicitated and lucky-dip winners awarded with gift hampers. 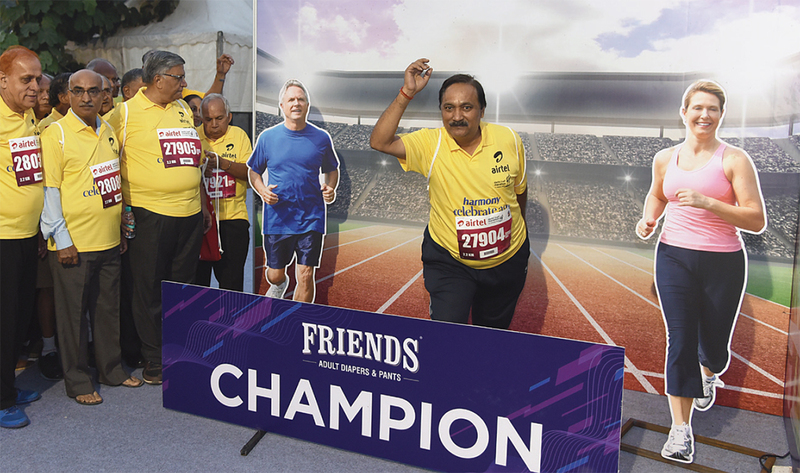 Another major attraction, before and after the run, was the photo-booth set up by Nobel Hygiene—participants queued up patiently to get their picture clicked and take home ‘proof’, as it were, that they were ‘champions’. We never doubted it for a minute!